According to Publisher’s Weekly, Children of Blood and Bone by Tomi Adeyemi won big at last night’s 24th annual Audie Awards. Held in Manhattan, the awards recognize outstanding audiobooks and spoken-word entertainment. 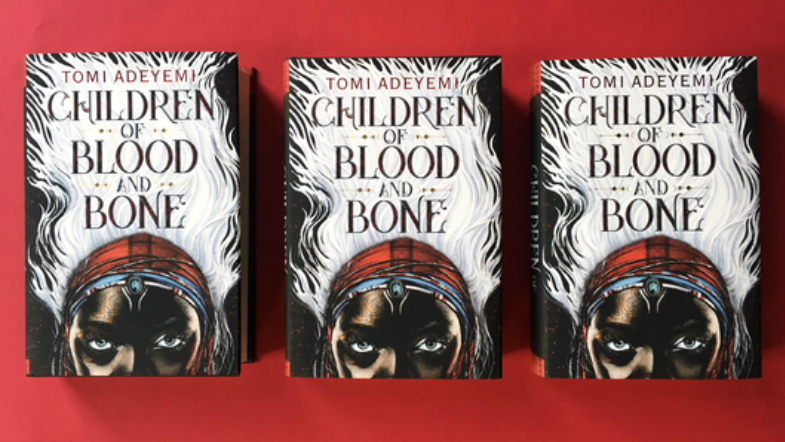 Children of Blood and Bone is the debut novel from young author Tomi Adeyemi, and it depicts the story of a young woman called Zélie Adebola who leads her clan of maji against a brutally oppressive regime. A popular YA fantasy novel, the book the first in a highly-anticipated series and has already climbed the ranks of The New York Times’ bestseller list. The audiobook’s narrator is Bahni Turpin, known for her roles in Malcolm X and Cold Case Files. The book took home the award for Top Audiobook of the Year, a well deserved win for such a striking debut. Other highlights of the evening included Edoardo Ballerini winning Best Male Narrator for his narration of Watchers by Dean Koontz, Julia Whelan taking home Best Female Narrator for Educated by Tara Westover, and Richard Armitage nabbing Best Audio Drama for The Martian Invasion of Earth by HG Wells. Tomi Adeyemi and Bahni Turpin are no doubt very pleased with their win. We look forward to seeing more entries in this series! Featured Image Via Publisher’s Weekly. 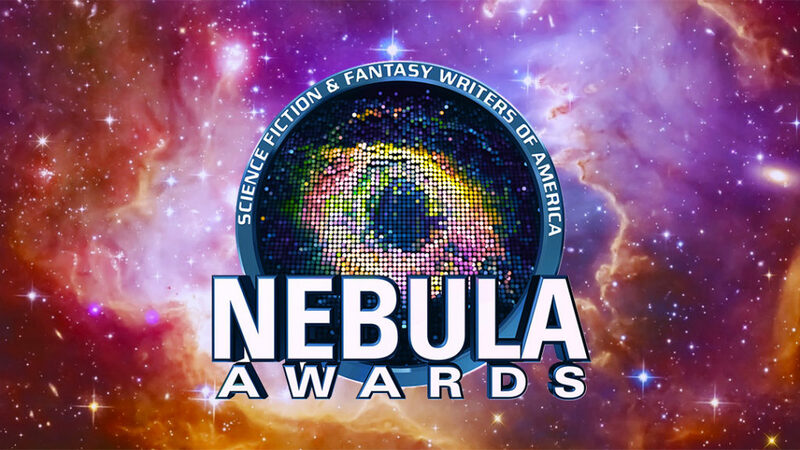 The Nebula Awards may honor the most out-of-this-world science fiction and fantasy, but its finalists are highly representative of the diverse world we’re living in. White men may still dominate high school reading lists (and the government, depending on your country of origin), but women and nonbinary authors of color are filling the rosters for one of genre fiction’s most prestigious awards. Chances are, you’ve read some of these. And chances are even higher you’ll love all the ones you haven’t. Categories for winners include Best Novel, Novella, Novelette, and Short Story. There’s also a specific prize for YA sci-fi and fantasy: The Andre Norton Award for Outstanding Young Adult Fiction. Since there are fifty nominations in total across each category, let’s focus on the ten nominees for Best Novel and The Andre Norton Award, two categories in which some real some real magic is happening. First, let’s take a minute to reflect on exactly how big a deal these awards are: YA superstars J.K. Rowling (who you know) and Holly Black (who you really should) have both been Nebula Award-winners. Now that we’ve established the prestige level of this award (to clarify: massively high), let’s consider that, in these two categories, female and nonbinary authors of color comprise fully half of the nominees. In case this actually needs establishing, that’s a massive deal. YA has always been a particularly diverse genre, quick to shirk the confines of more traditional literary fiction. As the YA craze reaches a wider audience, it has more people to represent. Let’s just say the genre has risen to the challenge. For example, let’s look at underrated YA romance release Let’s Talk About Love by Claire Kann, depicting the experiences of an asexual and biromantic black teenage girl with a nuanced and thoughtful touch. Many feel that the publishing world’s interest in YA reflects an alarming cultural trend: a departure from the classics and other works of value. But literary fiction is a genre like any other—it’s not a synonym for good. Publishers aren’t the only ones all over YA fiction; readers gravitate towards the books that represent their own experiences. Diverse YA releases like Tomi Adeyemi‘s Children of Blood and Bone, a fantasy debut inspired by Nigerian mythology, have gotten massive attention—from media coverage to a reported seven-figure book deal. And everybody’s talking about Samira Ahmed‘s upcoming Internment, a dystopian novel in which American Muslims are detained in camps. While many are quick to complain about the market’s saturation with YA genre fiction, readers shouldn’t be so eager to decry its literary value—some of these dystopian worlds no longer come with all the logic of an Internet personality quiz. Instead, these groundbreaking authors are using technology and magic as metaphors to comment upon reality. Though many are quick to associate sci-fi in particular with white teen boys thirsting after Princess Leia, these skeptics should maybe slow down with the assumptions. Featured Image Via Fierce Reads. Surely we’ve all gone to see a profoundly boring film with bleak comments about the nature of being, interspersed with eclectic yet disjointed scenes and the occasional shaky-cam. If the point of the movie was to reiterate the pointlessness of existence, we think upon leaving, it certainly achieved its goal. Critics, inevitably, will find the film just as meaningful as the filmmaker did. This isn’t to say that critics are always or even frequently wrong—instead, it’s to note that critical approval is not the only measure of quality. Since it matters what we readers love, let’s take a look at some of our favorite titles with this years’ Goodreads Choice Award winners! A timely commentary on police brutality and the way it impacts individuals, Angie Thomas‘ The Hate U Give tells the story of a high school girl whose best friend is shot by the police… which is also a story of race, class, and an adolescence where everything feels tumultuous- mostly because it is. The Hate U Give (THUG) was the winner of the 2017 award for Young Adult Fiction, and Thomas herself won the award for Goodreads Debut Author. The Best of the Best indicates the most popular book of all previous recipients. Still Me by Jojo Moyes is the third book in Moyes’ trilogy, which begins with Me Before You. The third installation follows the exploits of Louisa Clark, who has moved overseas for one of the two reasons people tend to do that (1. career, 2. love). The problem is that although she’s moved towards one, she’s moved further away from the other. Her boyfriend waits for her back home—but is it home anymore? And is she still the person she expected to be? It’s difficult to summarize a Stephen King novel. Usually, it goes like this: something horrible happens. Then, something really horrible happens. Possibly, you assume things cannot get more horrible. That’s exactly when they do. The Outsider is like that—only even more grim. After the shocking discovery of a child’s violated corpse, a town finds evidence pointing to one of the city’s most popular figures—a beloved coach, loving husband and father. Is he as kind a man as he seems? Probably not. Are any of the other characters? Also probably not. Kristin Hannah‘s The Great Alone, depicts 1970s Alaska with all the wildness of a frontier that is as geographic as it is emotional. When her Vietnam POW father moves his family North after losing yet another job, young Leni hopes that this will be the start of their new life. And that’s exactly the problem—it will be. As Alaska plunges headlong into winter, into night, Leni learns that the wildness outside their home is nothing when compared to the wildness within. Less a reimagining of Homer’s classic The Odyssey, Madeline Miller‘s Circe perhaps imagines the nymph and sorceress the way she truly might have been. Circe—originally little more than a waypoint, a powerful woman and threat to be overcome—stands alone against man and gods. A child of the divine living among mortals, Circe has to make a choice—which world to choose, which version of herself to be. But as she incurs the wrath of the most dangerous Olympians, the question changes: will she be able to choose either one? Introducing a bold new voice in fiction, Helen Hoang‘s The Kiss Quotient gives us a protagonist on the autism spectrum, a mathematics fanatic for whom romance—especially physical intimacy—doesn’t really add up. The solution is at once whimsical yet deeply rational: Stella hires a prostitute to teach her all the things that don’t come naturally (and to make sure that both parties do). But when love follows its own sort of logic, Stella has some new problems to solve. As an autistic writer herself, Hoang tells parts of her own story with authenticity and impact. The sequel to genre giant V.E. Schwab‘s Vicious (five years in the making), Vengeful was an uncertain prospect when Schwab herself was unsure whether or not there might be one. When the news dropped of its confirmed release, fans knew what to do—buy it immediately. After reading it, fans didn’t know what to do with themselves. A subversion of your typical superhero story, the saga is a story of two rivals—a battle between good and evil. Except that it’s hard to tell which is which. Except that sometimes our heroes are neither… or both at the same time. Except that these two are not necessarily rivals, but instead are former friends, caught in the same misfortune and headed towards what could easily be the same ruin. Stephen King is at it again with Elevation, another impossibly good book rife with impossibly awful things. This time, though, it’s a little more possible than you might suspect. In this case, the awful thing is something more recognizable than a sewer clown, or rather, something we are more likely to encounter: illness and prejudice. I’ll leave this one alone except to say that it’s (1) uplifting and (2) not a horror novel AT ALL. It’s pretty clear why the novel won in the horror category—Stephen King is the author. It’s pretty clear why it’s award-winningly good—Stephen King is the author. Tara Westover‘s Educated is the story of a girl who wasn’t. Until she was 17, Tara had never been in a classroom—or a hospital. Born in her family’s remote Idaho home, she didn’t legally exist, with no birth records to help her get an education and no school records to help her get a birth certificate. Her plan for the future was the apocalypse bug-out bag she shared a bed with. Given that she ended up with a PhD from Cambridge University, calling this a book feels almost like an understatement—it’s a story, and it’s as challenging and important as the word implies. Tomi Adeyemi‘s Children of Blood and Bone is impressive for every possible reason: it was written by a twenty-four year old author. It earned an astonishing seven figures, unheard of for a debut author. More importantly, it’s a mainstream YA interpretation of Nigerian mythology, written by a Nigerian author. And most importantly, it’s (according to over 70,000 people who VOTED, which is more readers than most books ever have) astonishingly good. While these aren’t all of the winning titles, these are the smash hits of 2018-the books that, were they songs, would be blasting 24/7 in cars and supermarkets. (The difference is that these are so good you still might like them after.) Check out Goodreads for more information on the other winners.